Be among the first in a generation to visit magical Cuba. 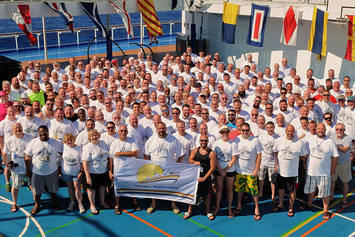 Join Bear cruise gay group on this unique gay group cruise headed to the newly discovered Island of Cuba. 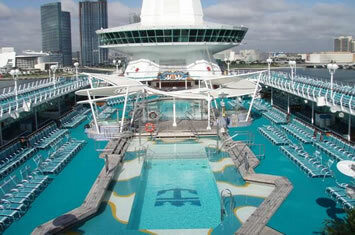 We sail from Miami on the recently refurbished RCCL Empress Of The Seas & visit also Key West & Cozumel in Mexico. 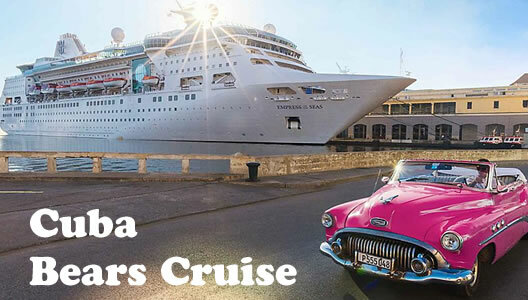 Delve deep into shores that few have explored on the most adventurous cruise ship sailing Cuba - Empress of the Seas. Hit Havana’s historic Malecón for a classic car ride, explore the food, culture and arts, meet some of our warmest neighbors and explore the architecture of a time gone by... where the clock seems to have stopped during its most romantic period and where Papa Hemingway would still feel right at home - all while immersing yourself in the Cuban culture onboard the ship as well, like special entertainment, cuisine and guest lectures. Legendary nightlife. Iconic music. Distinct culture. This is not a cruise. This is Havana, Cuba. And right now, you can be among the first to explore a place where yesterday lives today. 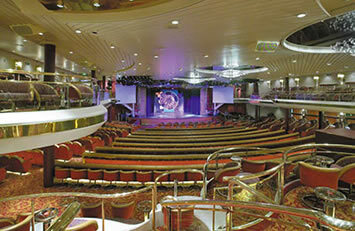 Get into the party mood with Empress of the Seas, a spectacular ship with an emphasis on fun. Lounge in the pool, relax in the spa, dance the night away in the Bolero Latin Lounge or try your luck in the casino – the choice is yours. 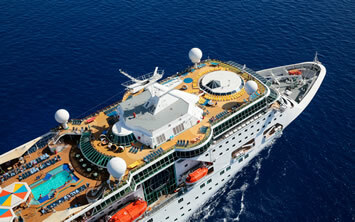 On Empress of the Seas, that “you only live once” philosophy means just a few days are packed with moments that count. Seek further, unwind like you mean it, and do it all your own way. With fast and early boarding, dining what you want when you want it, and longer stays in port. 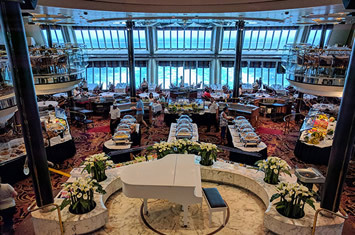 Enjoy a sunset on every cruise and decadent Sunday brunch with a complimentary Mimosa or Bloody Mary every day of the week. And the party does not stop onboard. Every night is Saturday, with live music, amazing entertainment, and dancing the night away at Boleros Latin lounge. Recharge your batteries poolside or dive right in for island vibes at the hottest pool party at sea. 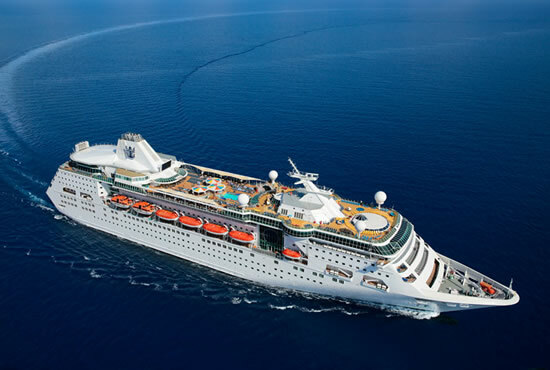 Renovated staterooms, Full-service spa with an extensive treatment menu. Jacuzzies and a pool. Complimentary, multi-course dining for breakfast, lunch and main dinner in the dining room. Choose to dine in our pre-determined seating's or at your own time. Sunday brunch every day with a complimentary mimosa or bloody mary. Additional complimentary options served in the windjammer cafe. Chops Grille, our signature steakhouse serves premium cuts of stake. Boleros lounge, an experience infused with latin passion and live salsa music. Sequins and feathers broadway-style show. 5 bars and lounges that never have a cover. Revamped world class Casino RoyaleSM and duty-free shopping. Complimentary entertainment and live music. Surf, stream, and share in real time with VOOM, the fastest Internet at Sea. 31 May A Day at Sea! Go on parade at glamorous South Beach, famed for its colourful art deco buildings, white sand and lively nightlife. Soak up the sounds of salsa and merengue in atmospheric Little Havana, where you’ll find coffee shops, cigar shops, markets and Cuban bakeries. Shop till you drop in the modern malls or tee off on one of the many golf courses. For thrills, take a speedboat ride or explore the rich marine life of the Florida Reef. Artists and writers have flocked to Key West for its beautiful scenery, laid back lifestyle and Spanish and Cuban influences. Visit Hemingway’s house and see the descendants of his six-toed cat. Explore art treasures in the galleries and museums or paddle a glass-bottomed kayak among the mangroves and marine life. Try delicious sea food and key lime pie or watch inventive street performers at work. 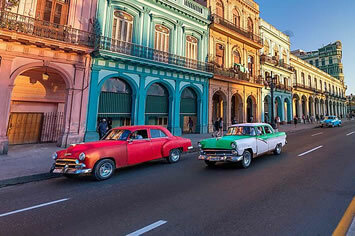 Immerse yourself in the culture of lively Havana, where fading grandeur, convivial cafes, iconic music and irrepressible energy make for a beguiling mix. Ride a classic car through the historic Malecón, Havana's 8km-long waterfront drive, or enjoy the views from an imposing fort high above the ocean. Explore the Cathedral of Havana San Cristobal or the Museum of the Revolution for fascinating insights into Cuban history. Ocean View Stateroom These cabins include square-shaped porthole windows about 3-feet wide with adjustable curtains. Ocean-view rooms range from 111 to 126 square feet (small ocean view) or standard ocean view (111 to 206 square feet). Interior Stateroom These cabins range from 109 to 131 square feet with a simple layout of two twin beds that can be converted to a queen. Some cabins have pulldown beds to accommodate third and fourth guests (making it a very tight squeeze). Taxes of $143.25pp, and optional insurance are additional. 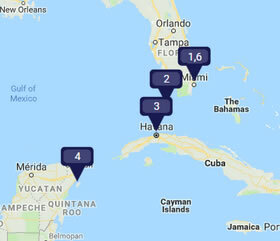 A Visa is required for your visit to Cuba. The cost is $75.00 and will be charged to your on-board account. A deposit of $200 per person ($350 for singles) is required at time of booking. Final payment is due on February 25, 2019. 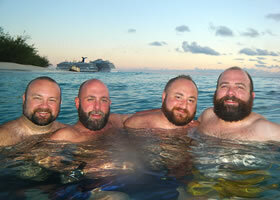 Also included are the traditional Chumley's Bear Cruise activities, subject to minimum participation. Web Page © Happy Travel, Ltd. Logos and Images © RSVP Productions Inc., Atlantis Events Inc., Chumley's Bear Cruises, etc.